A racecourse in Lyndhurst? It seems unlikely, but it’s true. 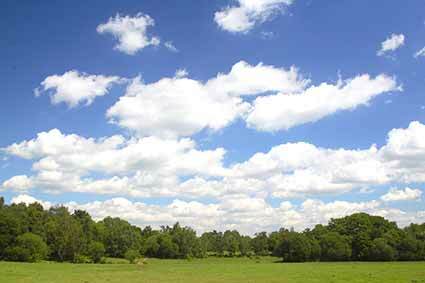 Lyndhurst was once the home of a substantial racecourse that was the talk of the New Forest. Just take a look at the late-18th century Richardson, King and Driver map, and there it is, The Race Ground, the most striking feature of the village, sitting proudly alongside Race Course Moor. An almost rectangular circuit to the north-east of the village, the course measured around 1 kilometre (just over ½ mile) by ½ kilometre (1/3 mile), and served as an important meeting place for people who came from all over the New Forest to enjoy a day’s flat racing and the accompanying fair-day attractions. 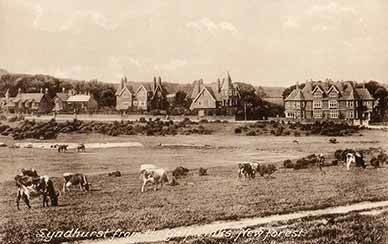 Racing ceased in around 1880, and since 1890, part of the course has been used by the New Forest Golf Club. From 1922 until after the Second World War, however, the New Forest Pony Sales and accompanying fair used the remainder of the site. Yet post cards produced well into the 20th century continued to refer to the Race Course and the road alongside is still known as Racecourse View – some traditions simply never die. Two parallel earthen banks 15 metres (50 feet), or so, apart can be seen behind the golf course club house, running almost from the A35 Ashurst road to the A337 Cadnam road. It’s tempting to imagine that these once bordered the race course, but they're simply spoil heaps thrown up many years ago when the adjacent, now entirely natural-looking, drainage channels were dug out. But close to the A35 entrance to the golf course, there is earthwork evidence of a failed 1930s attempt to construct a bypass around the village - the need for what was described as a 'Lyndhurst Relief Road' was first discussed by local councillors in 1888, such is the pace of change! Anyway, the golf course prospered, and in 1891 expanded to 18 holes, eight of which were sited across the Ashurst road, on White Moor – one was actually located on the hillock of Bolton’s Bench. Golfers drove their balls across the main road, and village boys apparently earned a ‘tanner’ for being caddies. With the outbreak of the First World War, however, a Bombing School arrived in Lyndhurst and set-up on White Moor. The inevitable result was substantial damage to the surrounding area, including the golf course. After the War, repairs were undertaken, but increasing road traffic eventually resulted in consolidation back across the road as a 9-hole course. Then in 1939, with the on-set of the Second World War, ‘the army pitched the largest camp ever sited in the Forest, and the course became a training ground for tanks’. Damage again was great, and recovery long, but eventually successful. Today, the course, a testing, 18 hole par 69, measures almost 6,000 yards and is reputedly one of the most scenic in Hampshire, although care is always needed to avoid hitting wandering cattle and ponies.